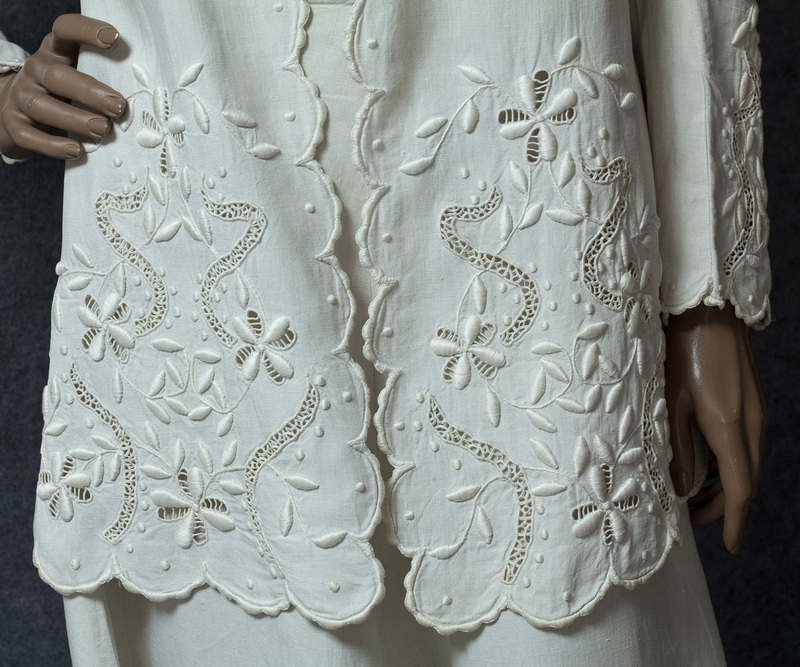 WWI ushered in profound cultural changes in society and fashion. Women were now more active outside the home. They needed simpler styles, allowing freedom of movement. The ubiquitous walking suit was the answer. 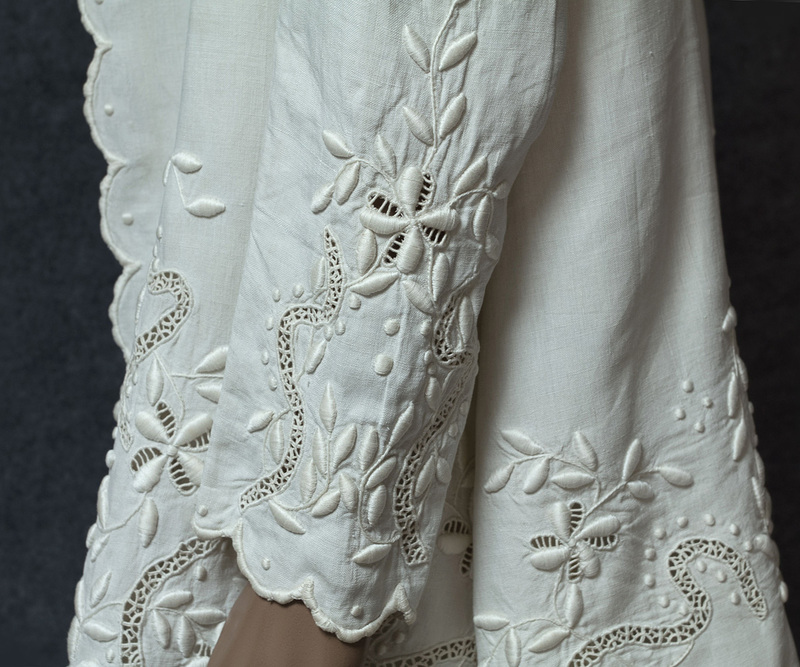 While the form was modern and could be worn without a corset, many walking suits still had lavish decoration—the hallmark of early Edwardian fashion. This beauty is right out of the novels of Booth Tarkington: I associate these suits with a photograph of my great aunt, an early suffragette. 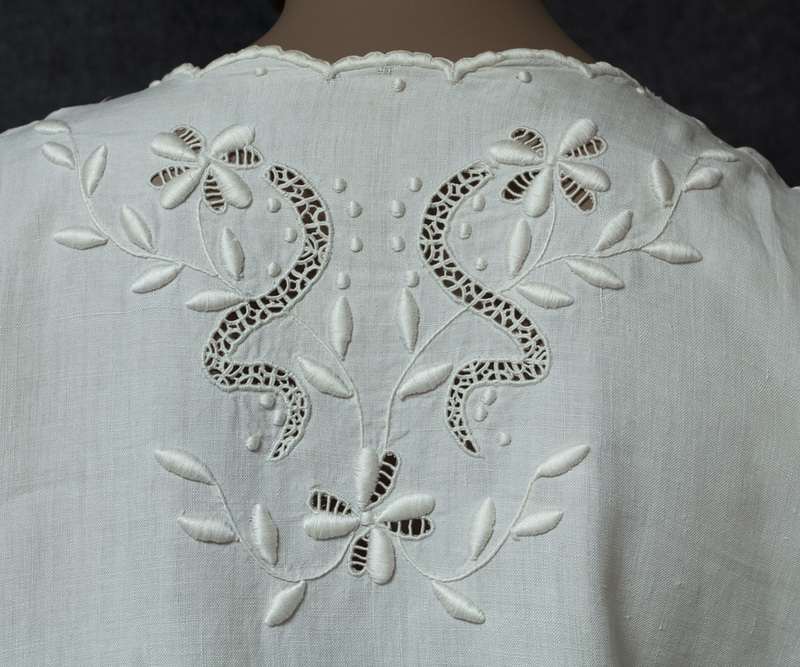 Our suit of white linen is finely embroidered with raised, padded satin stitch and fancy fill open work. 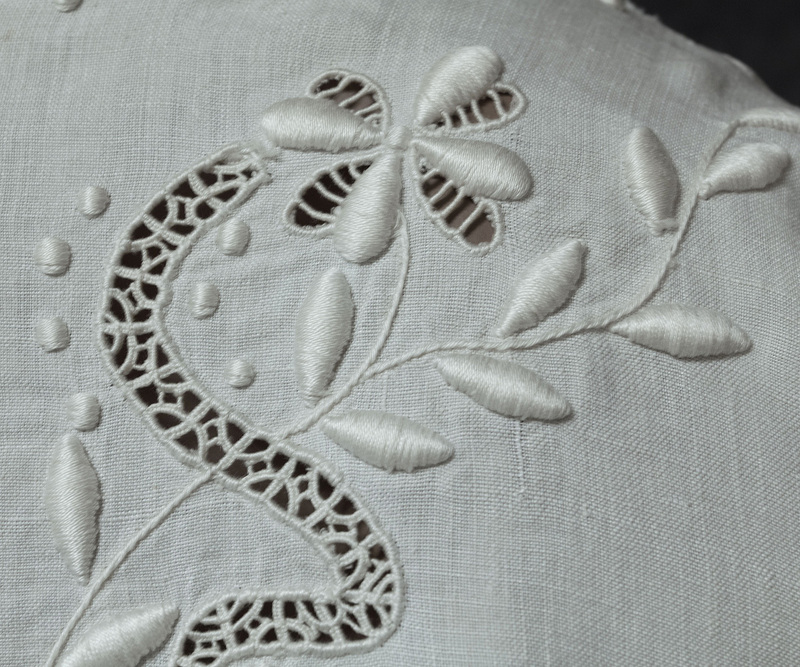 I love the hand-embroidered scalloped edges. The jacket is open in front. The gracefully flared skirt is smooth over the hips. The skirt waistband was let out in order to fit a modern woman. This suit would be perfect for an informal wedding. A century ago the walking suit was an important fashion category. In 1994 top couturier Jean-Paul Gaultier put on a fashion show at the Musée des Arts Forains in Paris. Featured was a walking suit with a long-pieced skirt. 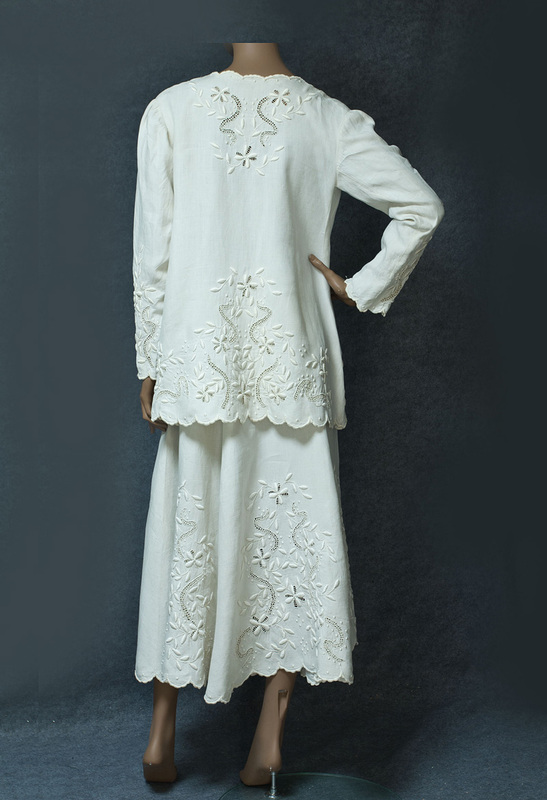 He said: "I tried to capture a synthesis of each period: the most important silhouette, the print, the fabrics." The condition is almost excellent. The jacket measures: 38" bust, 16 1/2" from shoulder seam to shoulder seam, 23" sleeve length, and 30 1/2" from shoulder to hem. The skirt measures: 30" waist, 47" hip, and 37" length.